FX Taps IKA Collective To Create Groundbreaking Launch Campaign For New Installment of "American Horror Story"
The groundbreaking 6-week interactive, multi-platform campaign for the new installment of FX’s anthology series “American Horror Story: Cult, directed by Ian Karr of IKA Collective, featured over 50 pieces of content released over six weeks. Directed by Ian Karr of IKA Collective, working in collaboration with creative agency Spark & Sizzle, and interactive video technology pioneer WIREWAX, the campaign moves way beyond traditional promos, representing a new level of viewer engagement and awareness. The interactive episodic experience features over 50 pieces of content released over six weeks, creepy clues coming in the form of Facebook Messenger “Bot” chats, the show's own social media platforms and website, and even real-life activations. 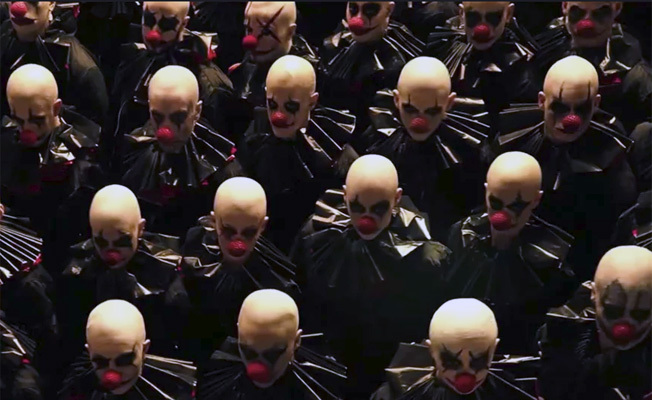 All of which unlock a trove of hidden video content that offer further details into the plot and characters in installment 7 of Ryan Murphy's horror creation. FX Creative, FX Production and DP Paul Tolton partnered with the team to create the chilling visuals. Click here for a “behind the scenes” look at the project.